Need a WordPress audio playlist plugin to make it easy for your visitors to listen to audio content at your WordPress site? In this post, we’ll show you how to use the Posts Table Pro WordPress audio playlist plugin to create two different styles of audio playlists on your WordPress site. Podcasts – you can display all your latest episodes in one easy-to-navigate playlist. Music – visitors can choose between different tracks. Or, you can include multiple playlists on a single page. An audio library – visitors can search, sort, and filter to find specific audio content. Portfolios – if you work with audio in any way, you can use the plugin to display your work in a portfolio. Any other type of audio that you need to display! Keep reading to find out how to set it up. Since Posts Table Pro lets you display any content from your WordPress site in a flexible table, it’s perfectly suited to creating an audio playlist on your site. Allow users to search, sort, and filter your playlist (if desired). Control exactly what information displays on your playlist. For example, you can even include a short text description to go along with each audio file. Display each track as a separate listing to create a single playlist or display multiple separate playlists on a single page. Create your Audio Playlist on WordPress today! Create a custom post type to store audio files (while not required, this simplifies things a good bit). Add individual audio files or playlists to WordPress. Use the Posts Table Pro shortcode to display your audio playlist anywhere on your site. While you can create an audio playlist from audio files that you add to regular WordPress posts and pages, creating a dedicated custom post type for your audio files makes it much easier to stay organized. It also only takes a few seconds and doesn’t require any code. To create your custom post type, the free Pods plugin does a great job. We recommend naming it something easy to remember, like “audio”. But the actual name isn’t super important! 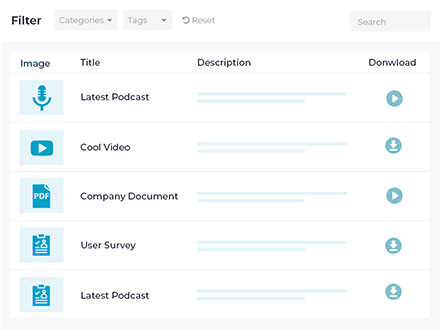 Optionally, if you want to include extra information about each track, you should also use Pods to create some relevant custom fields. Beyond that, you can also enable Excerpts in the Advanced Options tab in Pods if you want to display a text description alongside each track’s title. Now that you’ve created a custom post type to house your audio tracks, you’re ready to actually add the audio tracks that you want to use in your playlist. Add a single track to each post – this will display each audio track as a separate item in your table. This is what you’ll want to do most of the time. Use the core WordPress playlist functionality – this essentially lets you create a “playlist of playlists”. For example, you could use this to list multiple albums or multiple podcast series on a single page. Upload your audio files directly to the WordPress Media Library if you want to self-host your audio files. Once you’ve added your audio files using one of the methods above, you’re ready to actually display your playlist on the frontend of your site using the Posts Table Pro shortcode. You can add this shortcode to a regular WordPress post or page. Where “audio” is the actual slug for the custom post type that you created. To make your table look like a playlist, though, you’ll want to add some additional shortcode parameters. If you don’t like how the core WordPress audio player looks or functions, Posts Table Pro is compatible with many other audio player plugins to allow you to customize how your audio playlist functions. mb.miniAudioPlayer – more minimalist than the core player. It only expands when a user hits the play button. Compact WP Audio Player – an even more minimalist option than mb.miniAudioPlayer. 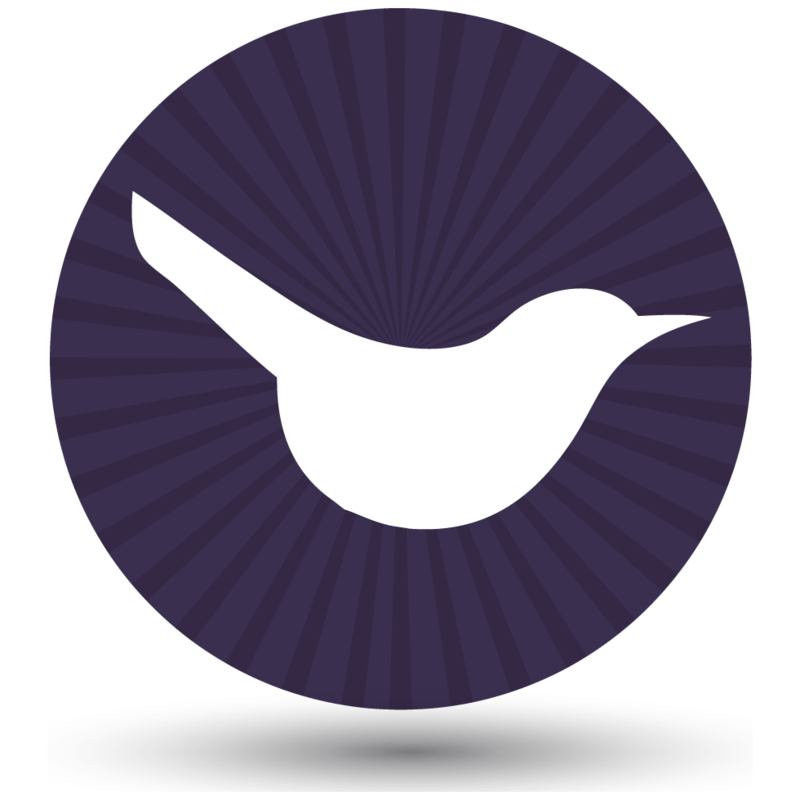 Seriously Simple Podcasting – a player targeted towards podcasters. This plugin also eliminates the need to use a custom post type to store your audio files (because it creates the custom post type for you). Check out our separate tutorial on how to use Posts Table Pro with Seriously Simple Podcasting. Start using this WordPress audio playlist plugin today! By using Posts Table Pro as a WordPress audio playlist plugin, you gain the ability to control exactly what information displays in your playlist, as well as how your visitors can interact with your playlist in terms of searching, filtering, pagination, and more. Visit the audio playlist plugin knowledge base to see all the options and how to use them. Whether you’re creating a playlist of individual audio tracks or a “playlist of playlists”, Posts Table Pro can help you get the job done. Have any other questions about how to use this WordPress audio playlist plugin? Leave a comment and we’ll do our best to help you out!